While we all have our favorite brands, there’s no doubt a bit of disservice that we do to ourselves when we don’t venture outside of our comfortable walls. That’s exactly the story with me, specifically related to Apple. I long ago overcame the desire to tinker, upgrade and fix my computers and phones. Instead I opted for a MacBook Pro and an iPhone, with my personal experience being that I’ve had far fewer issues. But in the interest of keeping myself informed, I decided to jump in to Windows 8 and Windows Phone 8 with both feet. I powered down my MacBook, set my iPhone aside and picked up Dell’s 27-inch XPS One desktop computer as well as an HTC 8X phone. While some of what I’d encounter during this test was known to me in advance, I entered with the hope of being surprised and delighted on some levels. I’ve largely been pleased with what I’ve found, but there are problems in the system that need to be addressed. What follows is an account of what I’ve found, taken from notes that I’ve kept along the way. We’ll talk about what’s wrong with the systems, but I also want to spend a considerable amount of time addressing what’s right. It hasn’t been 30 days just yet, but I think I have as much information as I need to open the dialog. That said, let’s start from the beginning. What I knew going into this experiment was that a lack of apps was going to be an issue. But I don’t use too many apps, so I thought I could find some decent replacements for the few that I do find valuable. I’m actually a pretty big fan of how WP8 handles mail, so that was no issue. In fact, I was well pleased with the majority of the stock offerings on the phone. Internet Explorer on WP8 is very good for the most part, though there are still some important sites (I’m looking at you, Simple) that don’t work with it. Rowi – A Twitter client that’s far superior to Twitter’s own. Baconit – A reddit client. 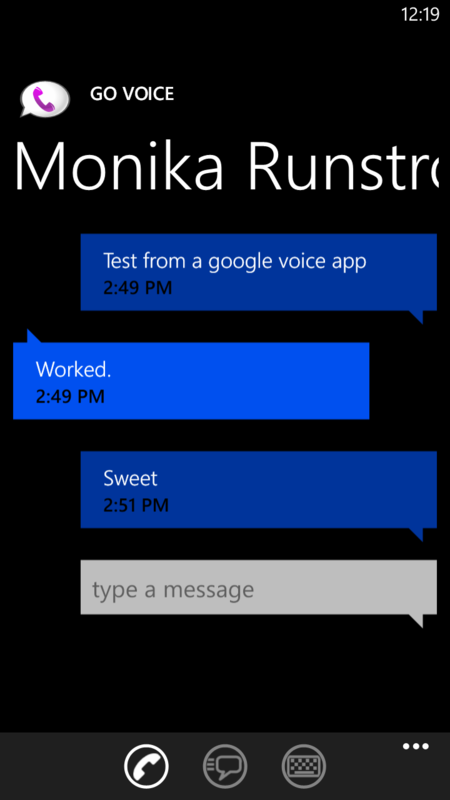 GoVoice – Google Voice for WP8. USA Today – Yep, the newspaper. They have a great WP8 app. Amazon Mobile – Because I’m a compulsive bargain hunter. 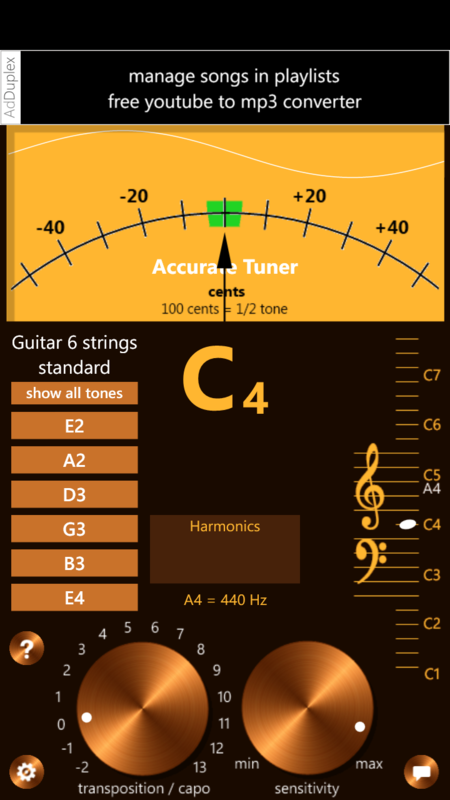 Accurate Tuner – Chromatic guitar tuner. FidMe – Loyalty cards management. You’ll notice that’s a pretty short list. Largely it’s because I don’t use many apps, but that lack of apps (spout all you want about the total number, but the quality is still lacking) also gets a large chunk of the blame. Though, for daily use, this has been a sufficient list. There are a number of good apps on the Marketplace. There are even a few great ones. But on the whole, WP suffers from a decided lack of quality third-party developers. This is one area where it’s been pretty much universally accepted that Microsoft did something very right. Live Tiles are, akin to widgets in Android, small boxes or rectangles that can be programmed to update dynamically. You pin them to your home screen and you have at-a-glance information. Some people have said that they’ve run into battery life issues with them, but there are settings available to keep them from refreshing as often which should alleviate the issue. Personally, I’ve not had a problem with battery life on the 8X. What I’ve found is that Live Tiles live up to Microsoft’s promise. They typically allow me to accomplish more, faster than I could in iOS. In fact, the UI as a whole tends to make more sense to me than either iOS or Android. On my iPhone, I have 50-some apps installed. Of those, I probably use about five of them with any regular occasion. Of those five, every single one of them is one that could benefit from Live Tiles. But I do have areas where I will ding the UI. The first is in how all apps are loaded into a single listing. With the exception of OS-controlled folders like Games and Music, everything else will be in a long, scrolling line. Folder would be welcome here. As I noted on Twitter the other day, I’m also desperately missing on-screen notifications. I get sounds, of course, but I’d love it if I could have some sort of notification to tell me the sender and subject of a new email. Twitter’s app shows lock screen notifications of mentions, so I’m not sure why Microsoft hasn’t enabled this for its own applications. The final gripe that I have is the universal search softkey. No matter what I’m doing, anywhere on the phone, the device’s search button will pop me out and take me to a Bing search. I find this disingenuous because the button would be better put to use to allow searching within an app. The Marketplace app, for instance, requires me to press an on-screen button to search. While there’s much to be said for having consistent operation across the OS (are you listening, Android back button?) there are times when it makes more sense for a button to do what you think it might. 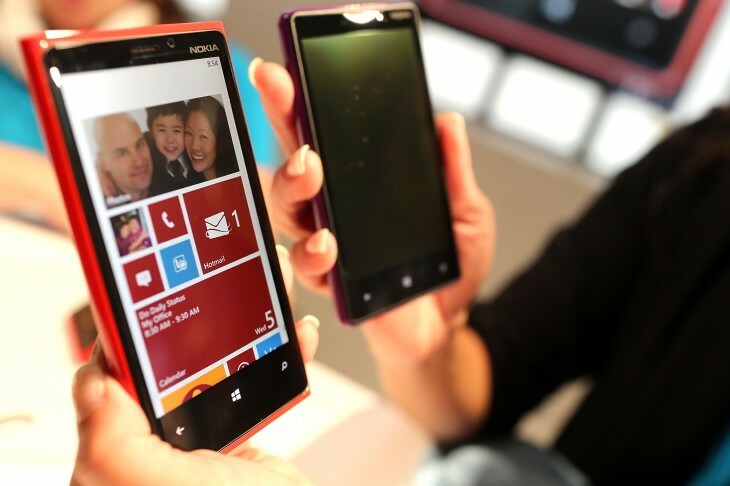 There’s a lot to like about Windows Phone 8. If you tried WP7, you got a decent taste of 8. But 8 brings about a number of operations and features that 7 should have had. 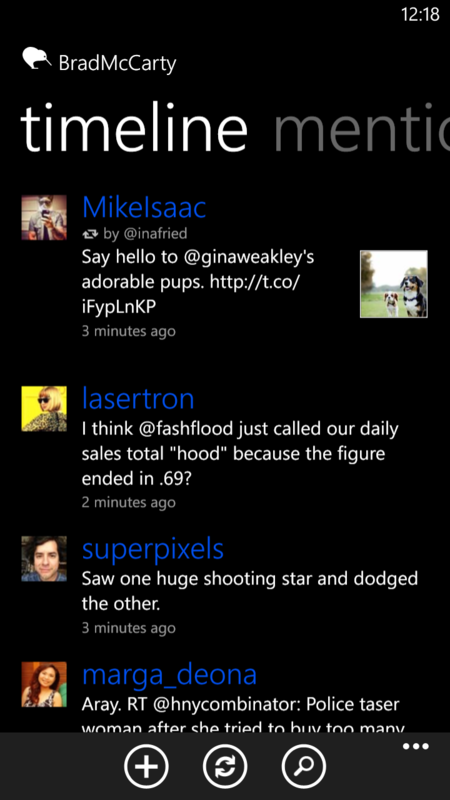 Generally speaking I really like the customization available to WP8. I’m also a fan of the deep integration for SkyDrive (which is, if I do say so myself, one of Microsoft’s most under-rated products). I thought that I’d miss Spotify, but a 30-day trial of Xbox Music showed me that I didn’t need Spotify to make me musically happy. In fact, for my tastes, there’s a better selection on Xbox Music and I’m seriously considering ditching Spotify entirely. 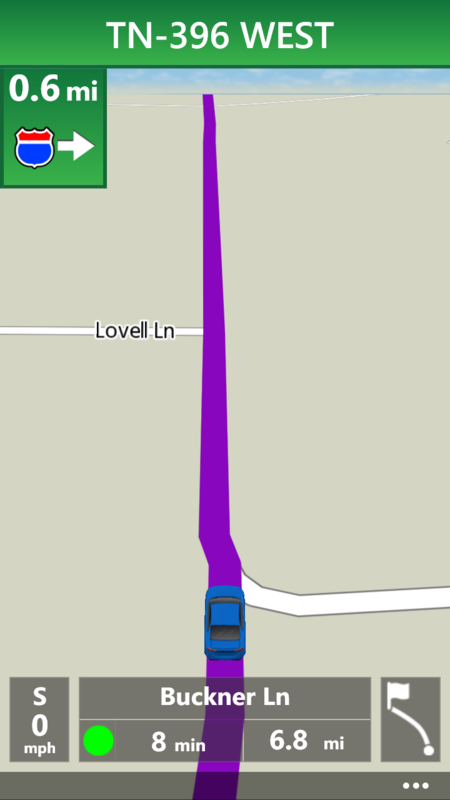 Bing Maps are stellar. They’re beautiful, functional and the integration across the OS is done incredibly well. Local Scout is one of the best OS-level features I’ve ever seen on a phone. Its recommendations are incredibly good. If there’s a gripe to be made here, it’s actually with the disparity between phone manufacturers, and that’s a point that we’ll get into later. I’m a huge fan of the Wallet feature, and seeing the apps that are integrating with it is welcome. Though I’ve not been anywhere that uses NFC, I like that I can keep loyalty cards, coupons and purchase cards stored in it, and I feel secure. The UX of Wallet is also better than almost anything else I’ve used. It’s definitely on par with Passbook, and in my opinion it’s better than Google Wallet. What’s probably most surprising to me is that this device in my pocket has given me a better understanding and appreciation of what Microsoft has done with Windows 8. Akin to the iOS-ification of OS X for Apple, Windows 8 is a convergence OS for Redmond. So many of the parts that didn’t make sense before suddenly become very clear. Though I’m still annoyed by parts of Windows 8, the way in which WP8 interfaces and meshes with it is quite elegant — and that’s not a word I’ve ever been able to use for a Microsoft product in the past. The biggest part of this section is going to surround one singular point — Developer interest. It’s just not there for WP8 yet. Though, in talking to some dev friends of mine, it’s on the top of their mind. I’ll be quite happy when we see quality apps like Pocket and Path get some WP airtime. Though that’s a bit of an obvious gripe, and one that we’ve heard repeated time and again. So let’s move on. What’s perhaps not so obvious is that OEM disparity that I mentioned earlier. Verizon was nice enough to loan me the 8X for this experiment, and Nokia sent me a Lumia 920. What I found is that my perfect device would be a Nokia-made 8X. The 920 is too wide and too heavy for my comfort, but the device’s manufacturing is second to none. I prefer the thinner, lighter form factor of the 8X, but HTC doesn’t have access to Nokia Drive and the company doesn’t make phones that are as nice as Nokia’s. What’s missing from the equation is something that Google does — a flagship phone, with cross-carrier availability. Microsoft has taken a step in this direction with the Surface tablet, and I desperately hope that the company continues to do so with phones. Give me something that doesn’t have any OEM-specific apps on it, build it beautifully and let me use it whether I’m on AT&T, Verizon or any other major carrier. The one thing where I absolutely can’t give enough credit to Apple is that the company has been a pervasive thorn in the side of carriers by taking the choice away from them. Microsoft is a huge brand, and it can wield that same power if it so chooses, offering a truly incredible mobile experience by which all the rest of the devices should be judged. But right now that’s just not happening. In the US you have the choice of three WP8 devices, and only two of them are actually worth buying. It’s either the 8X or the Lumia 920. I like the 920, but I’m not about to go switching carriers, as well as buying my wife a new phone and me a new iPad, just so I can use it. The next gripe comes back to developers. On my loaner 8X, when I want to use navigation, Verizon has VZ Navigator. It works well, and is actually quite a nice app. But when it starts, it turns off whatever music I might be playing. That’s great when you’re on a three-minute cross-town drive. Not so hot when you’re on an eight-hour voyage. But Verizon isn’t alone here. I’ve tested a number of apps that did the same thing, even if the only sounds that they used were occasional notifications. It’s an oversight, but a rather annoying one. The rest of my gripes? Well…there are none. And that leads me to the conclusion. The mobile device market is far too large to be constrained to two choices. iOS, as incredible as it can be, is showing its age. Android has made huge strides in recent months, but there’s still so much wrong with it. Microsoft has an open door to be a solid choice within top tier smartphones, especially now that BlackBerry is all but gone. Nokia is making a device that, aside from the terrible low-light camera (edit: Some commenters tell me that this has been fixed via a software update), can hold its own with the iPhone. Though I’ve not bought an iPhone 5, there doesn’t seem to be much difference between it and the 4S that I do own. Faster, thinner, lighter. I get it. But I don’t get it enough to buy one. The Lumia 920? It absolutely compares to the 4S from a build quality standpoint. Redmond’s opportunity is right now, and it needs to move fast. As much of an iPhone fan as I’ve been in the past, there are compelling reasons for me to continue using Windows Phone 8. The devices are there. The quality of the OS is there. We need developers and we need adoption. These two things go hand in hand. If you’ve been considering a switch, I’d encourage you to give Windows Phone a try. It’s not just decent, it’s incredibly good. The more of us who are willing to take that risk, the more chances we’ll have to pull developers this way. The success of Windows Phone is, to put it bluntly, in the hands of the consumer. Microsoft has done its homework and provided us with a stellar OS experience. Now we just have to buy them. As for me? I have to send back both of these WP8 devices soon. And I’ll miss them.